The second Jazz version. Andre Previn and Shelly Manne scored big with a jazz My Fair Lady, and proceeded to try the same trick a bunch more times in the next 5 years. I showed their Gigi in the last post. 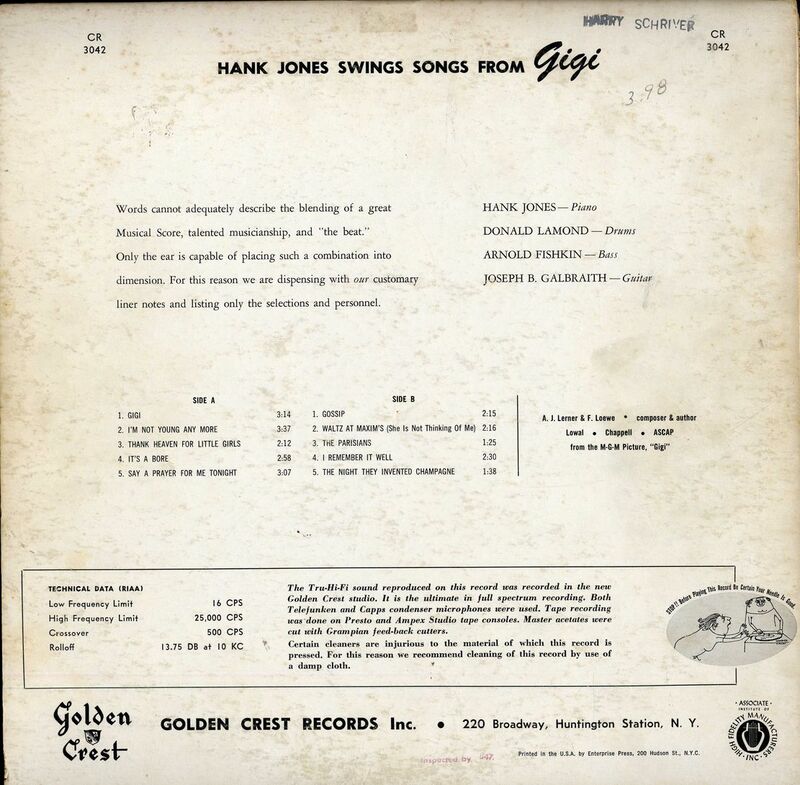 Here, a minor label gets Hank Jones to do the same thing. It is a tolerably good record, marred by the fact that most of the songs in Gigi aren’t so wonderful. 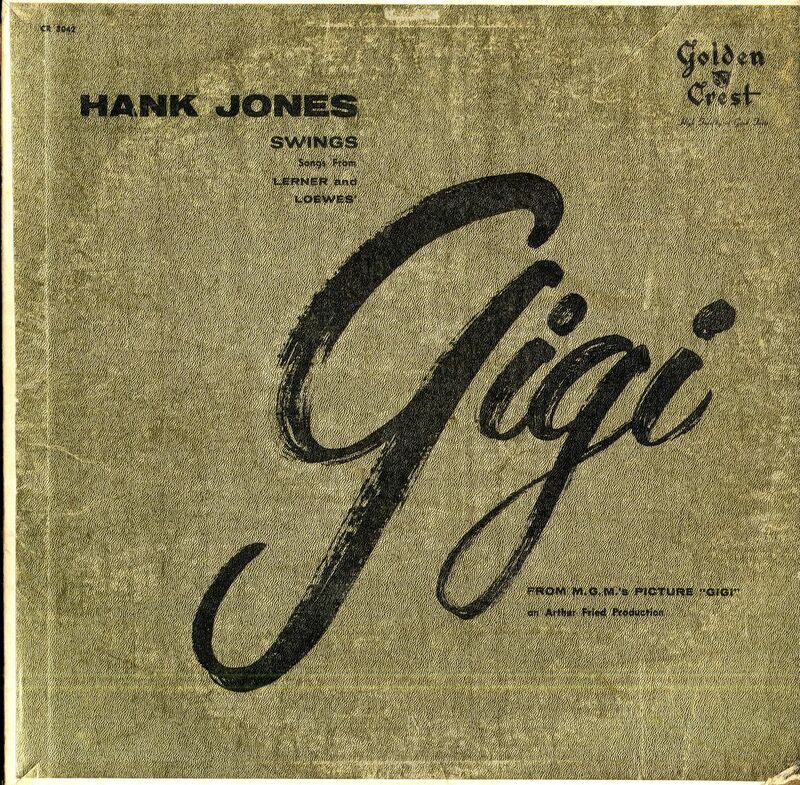 This entry was posted in Uncategorized and tagged gigi, Hank Jones. Bookmark the permalink.